I’m normally a shy little introvert, so parties of any type aren’t really my thing. Especially a party where I’m the center of attention. Holy self consciousness, Batman! Don’t get me wrong; I adore this little book of mine. I may have even toted around the first physical proof for a day or two, hardly able to put it down or stop grinning. But, talking about it is still hard for me (stupid anxiety) and I kind of balk at the idea of putting myself out there right beside it. Its not that I don’t want to celebrate the fruits of my hard labor or share it with others–quite the opposite! I just have a hard time engaging with people outside of the written word and feel I much better express myself in a medium like this blog. In person? I turn beet red and get tongue tied like whoa. However, I have wonderful friends who love and support me, and some of them insisted on throwing me a book launch party–and how could I say no to that honor? To purchase Iron, please check out the Books section on my website, or follow one of the handy dandy links I will be inserting right here. 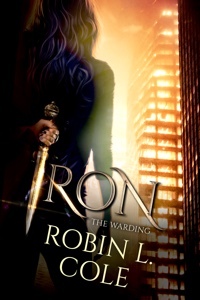 Iron is available in eBook form on Kindle, Nook, and iBooks. It is also available in paperback exclusively through Amazon.com. If you’re a visual person (much like I am), you can also checkout my Pinterest board dedicated to this series and the images I find inspiring for it here! 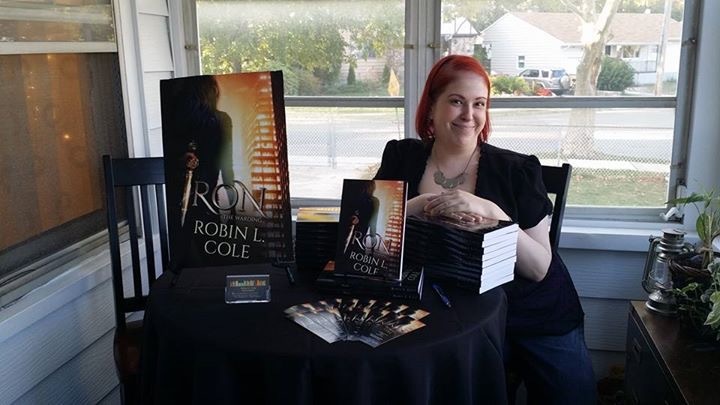 I’m sure I’ll also be posting a ton of Iron related pics today (and in the days to come) on Instagram, so make sure to follow me at mrsrobinlcole. I can’t wait to hear your thoughts on it and hope you enjoy reading about Caitlin’s adventures as much as I did writing about them!